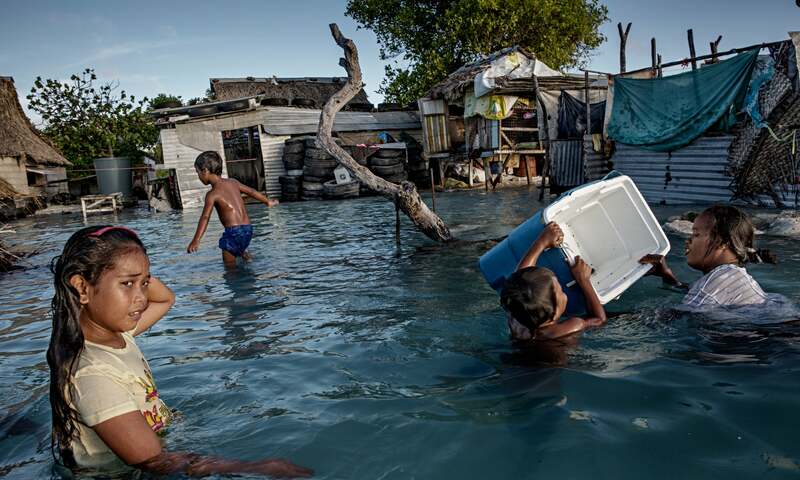 Hundreds of thousands of people will be forced from their homes on low-lying islands in the next few decades by sea-level rises and the contamination of fresh drinking water sources, scientists have warned. A study by researchers at the US Geological Survey (USGS), the Deltares Institute in the Netherlands and Hawaii University has found that many small islands in the Pacific and Indian Oceans will be uninhabitable for humans by the middle of this century. That is much earlier than previously thought. Experts say the findings underline the looming climate change driven migration crisis that is predicted to see hundreds of millions of people forced from their homes in the coming years. More than half a million people around the world live on atoll islands, often extraordinary and beautiful structures based on coral reefs. Their closeness to sea level makes them particularly vulnerable to climate change. The increase in urgency comes because, according to the authors of the report, previous studies had been based only on predicted sea-level rises. Today’s study also examined the impact of wave driven flooding on the availability of fresh water. “The overwash events generally result in salty ocean water seeping into the ground and contaminating the freshwater aquifer. Rainfall later in the year is not enough to flush out the saltwater and refresh the island’s water supply before the next year’s storms arrive repeating the overwash event,” explained Stephen Gingerich, USGS hydrologist and co-author of the new report. The authors say although the study was focussed on Roi-Namur Island on Kwajalein atoll in the Marshall Islands, the results will apply to people living in atolls around the world – including the Caroline Islands, Cook Islands, Gilbert Islands, Line Islands, Society Islands, Spratly Islands, Maldives, Seychelles, and north-western Hawaiian Islands.